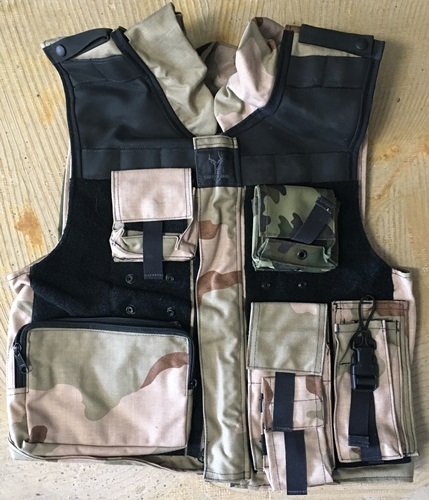 This safariland tactical vest is a one of a kind. You will receive everything you see. The vest itself does not have the kevlar inserts. The groin protector does have the kevlar insert. The vest is size Large.